Compact true-rms meter for commercial applications. 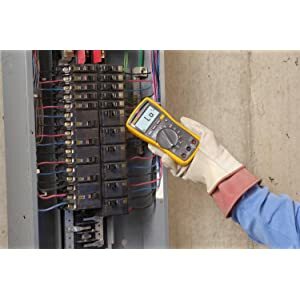 The Fluke 117 (Fluke Digital Multimeter ) is the ideal meter for demanding settings like commercial buildings, hospitals and schools. The 117 includes integrated non-contact-voltage detection to help get the job done faster. Designed by Electricians. Engineered by Fluke – An Investment in Accuracy. Fluke Digital Multimeters (DMM’s) are on more tool belts, finding more problems, than any other comparable test tools. Each design is tested to the extreme: drop, shock, humidity, you name it. 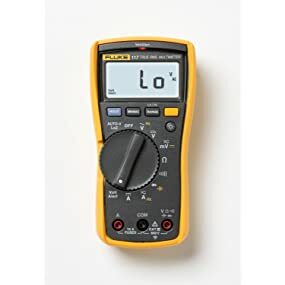 Every Fluke Digital Multimeter gives you what you need: accurate measurements; consistent, reliable performance; attention to safety; and the strongest warranty available. 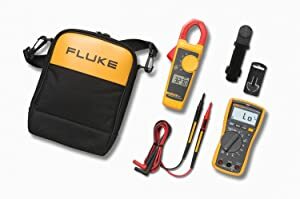 Use the Fluke 117 for demanding settings like commercial buildings, hospitals and schools.With its integrated non-contact voltage detection and the AutoV/LoZ function preventing false readings caused by ghost voltage. The Fluke 117 Electrician’s Multimeter is the ideal multimeter for electricians. In fact, users around the world have said their 117 is an investment in accuracy. The Fluke 117 provides Min/Max/Average readings, measuring frequency and capacitance. With its easy-to-use design, the Fluke 117 will save you time, allowing you to move from job to job with ease. Buy a combo kit and save! The Fluke 117 Digital Multimeter /323 Clamp Meter Combo kit so you always have the tool you need at hand. The 117 includes integrated non-contact voltage detection to help get the job done faster. 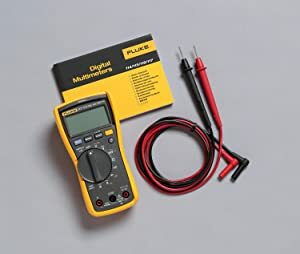 Fluke 117 Digital Multimeter with Non Contact Voltage and 4 mm silicone test lead set. Wide variety of electrical work electronic and field service applications. 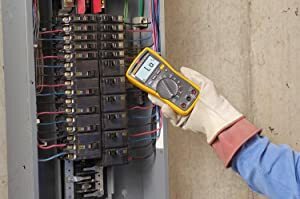 Electrical maintenance troubleshooting: When you need to eliminate false or ghost voltages or perform continuity, connection or basic wiring checks. Non-contact voltage detection, Integrated non-contact voltage detection simplifies many tasks. Electronic troubleshooting: Troubleshoot a wide variety of measurement parameters, including frequency and capacitance.